The second vice president of Afghanistan Sarwar Danish spoke in a ceremony on the anniversary of the adoption of the Universal Declaration of Human Rights in Kabul, challenging the Taliban and asking the group to answer the questions of people. Sarwar Danish, stating that over the past years a form of very cowardly and brutal war has been imposed on the government and the people of Afghanistan, emphasised: “Now, we are not those who feel ashamed and subject to the question of our people and have to give concessions or abandon the policies and achievements of our past 18 years, but this is the Taliban, which must answer many of the questions”. -People are asking that the Taliban Emirate was a bitter experience for all the people of Afghanistan and a kind of tyrannical religious rule associated with killing and imprisonment and torture, are the Taliban still dreaming of such a rule? 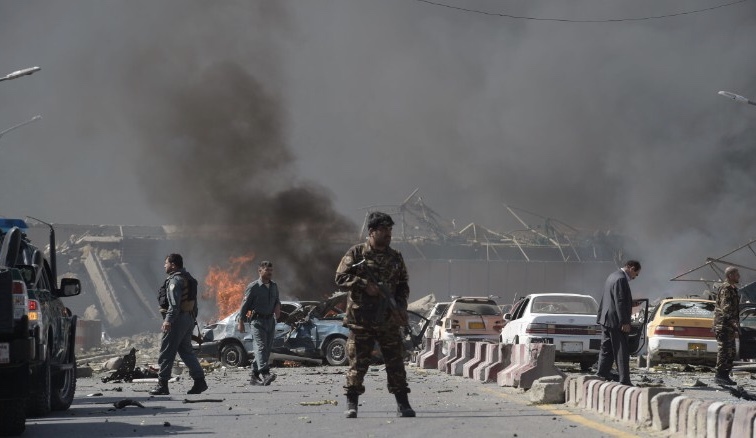 – People are asking that the Taliban have killed thousands of innocent civilians in past years with explosive and suicide bombing operations, and what are their responses to the heirs of the dead and the victims of the war? Is it not necessary to hear the voice of the war survivors and victims, which constitute a significant population? -The Taliban also have acted ‘ethnically’ during and after their emirates and killed the elite and tribal leaders of all other ethnic groups, will they change their attitude and can they win the trust of all the ethnic groups of Afghanistan? -The Taliban group was a threat to the entire international community which were affiliated with more than 20 other terrorist groups; is this threat now resolved? Is the presence of terrorist groups, which is a major threat against all countries in the region and the world, be prevented? -On the other hand, over the last 18 years, along with traditional groups like tribes and political parties, we are witnessing the emergence of new social groups in Afghanistan, such as women and youth networks, civil and cultural institutions, free media and an educated and enlightened generation. These groups do not think along the lines of ethnicity or party, but they have their own thoughts and aspirations, and are familiar with the modern values of democracy and human rights, the rights of citizens and public freedoms, such as freedom of speech and the free media, as well as other new achievements in various political, social and cultural contexts. Will the Taliban group accept this situation and can they adapt themselves to modern Afghanistan? Will the 18-year achievement be maintained during this peace process? -And most importantly, in the light of the current constitution of Afghanistan, we have a political system based on the elections, the will of the people and political, cultural, ethnic, linguistic and religious diversity and pluralism, and the consensus of all ethnic, social and political groups of Afghanistan; will this system be maintained with the same characteristics? The second vice president of Afghanistan noted that what was said is part of the questions raised by the people and it is good that these questions are expressed explicitly in order to provide a kind of understanding and satisfaction to all people, and that the representatives of the Afghan government and people go to the negotiating table with full knowledge. “We hope that our country will have a peace that all people of Afghanistan, with a peaceful coexistence, respect each other’s rights and enjoy their human rights and citizenship in the light of a democratic system,” he said.